Discussion in 'Visakhapatnam' started by satish, Sep 13, 2015. VISAKHAPATNAM: The first phase of the Vizag Metro Rail (VMR) will be completed by December 2018 with financial support from the Japan International Cooperation Agency (JICA) if chief minister N Chandrababu Naidu's statement turns into a reality. 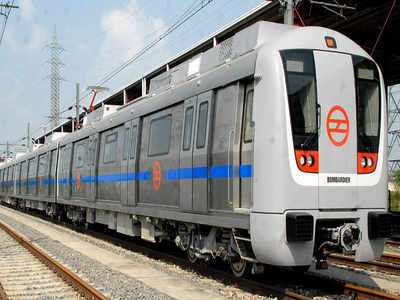 The CM said this during a meeting with Delhi Metro Rail Corporation (DMRC) principal advisor E Sreedharan on Friday during discussions on the status of the project, including the possibility of funding the project with the help of JICA. The CM told the 'Metro Man' that a special purpose vehicle will be set up and a permanent officer appointed to monitor the progress of the project. A separate meeting of Sreedharan and CM has also been planned for Vijayawada to decide when to lay the foundation stone of the project as well as other issues related to the project. The DMRC has already prepared two separate DPRs for the project. While one DPR suggests setting up of a 34.45 km long metro rail track at an estimated cost of Rs 8642 crore, the second DPR suggests a 42.5 km long track at an estimated cost of Rs 10,111 crore by adding Gajuwaka following the feedback received from the public. However, both the two DPRs comprise three corridors. Corridor-1 proposes to cover either 22.28 kms from Madhurawada to NAD Junction with 19 stations, Kommadi Junction, Madhurawada, Hanumanthawaka Junction, Maddilapalem, Gurudwara Junction, Akkayyapalem, Kancharapalem, Muralinagar and Government Polytechnic College, or a 30.38 km stretch from Madhurawada to Gajuwaka but with a higher number of stations. Corridor-2 will cover 5.2 km from Gurudwara Junction to Old Post Office via BVK College, RTC Complex, Dabagardens, Saraswati Circle, Poorna Market and Old Post Office and will have seven metro rail stations. The third corridor will cover 6.9 km from Thatichetlapalem to China Waltair via New Railway Colony, Railway Station, Allipuram Junction, RTC Complex, Siripuram Junction and Andhra University and will have nine metro rail stations. The project will have three inter-change stations at RTC Complex where corridor-2 and corridor-3 metro rails will cross. The other two inter-change stations will be located at Thatichetlapalem and Gurudwara Junction. The metro station at Saraswati Circle will be the located at a height of 24.63 metres, the highest among metro rail stations in all the three corridors. The metro station at Sampath Vinayak temple will be the lowest at a height of just 9.88 metres. The metro station at RTC complex will be located at a height of 22.02 metres, as per the report. The proposed Visakhapatnam Metro Rail Project will be a unique one in the Public Private Partnership (PPP). The idea is to make the project more sustainable for the developer and affordable for the public, according to Amaravati Metro Rail Corporation (AMRC) MD NP. Ramakrishna Reddy. Touted to be the first of its kind of model in the country, the Andhra Pradesh Government is planning to ease the burden on the developer by reducing the cost by 40 per cent. The decision has been taken in the backdrop of the unviable nature of metro projects which are becoming burdensome for the developers across the country. “The State government will be contributing to 20 per cent of the Rs.13,488 crore in the form of government land which is abundantly available in Visakhapatnam. Another 20 per cent of the cost will come from the Central government. The rest of the burden will be borne by the private developer,” Mr. Ramakrishna Reddy told The Hindu . The government will also share a part of the loss in case there is no critical mass in passenger traffic. The government is also working out a profit-sharing metric to get the benefit in the event of the PPP player making over 110 per cent profit, said Mr. Reddy. Planned in three corridors, the Visakhapatnam Metro project runs through 43 km. Corridor-I, from Kommadi junction to Gajuwaka junction, runs on the national highway for about 30.38 km and consists of 25 stations. The second corridor, from Gurudwara to Old Post Office, is about 5.26 km with seven stations. The third, with nine stations, is planned from Thadichetlapalem to Chinna Waltair and stretches about 6.91 km. Along with the Vijayawada Metro, the Vizag Metro too is pacing ahead. The AMRC, which is undertaking the Vizag project, will be calling for Expression of Interest (EOI) in the coming two months. As per AMRC sources, the Urban Mass Transit Company , which has wide experience with Kochi, Nagpur, Gurgaon, Noida metros, has been appointed as consultants for Transaction Advisory Services for the AMRC to undertake the PPP process. The IL&FS will be the technical and financial adviser. NP Ramakrishna Reddy, a 1974 batch marine engineer from Andhra University, Visakhapatnam, served as a marine engineer for the Shipping Corporation of India. He later joined the department of ports in Andhra Pradesh as executive engineer in 1981. Since then, he held various posts and was instrumental in construction of the deepwater port at Kakinada as its chief engineer. Later, he was promoted as additional secretary to the state government and made in-charge of the key public-private partnership (PPP) projects like Kakinada and Krishnapatnam ports and Rajiv Gandhi International Airport in Hyderabad. He was promoted as special chief secretary, department of animal husbandry, before he retired in 2010. He is now the managing director of the Amaravati Metro Rail Corporation Limited (AMRC). He speaks to V Kamalakara Rao of TOI on the progress of Vizag Metro Rail (VMR) project. 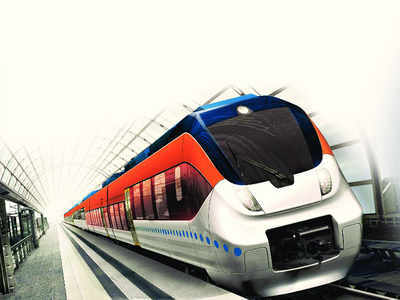 What is the update on Vizag Metro Rail project? The proposal has been sent to the Union government for approval. The file is still with the government. Once the proposal is finalised, we will take up subsequent works including calling for tenders. If everything goes according to plan, construction will begin by end of this year. VMR will be operational in next three years and a half. Is the project not getting delayed? It is not a normal project. It is a sensitive project, which needs clearance of nearly 10 departments. This apart, funding of the project will also be an important task. However, we are successfully handling each key point in the project by taking utmost care. We finally decided to take it up under PPP mode. The metro rail project will be sustainable if it is taken up under PPP mode. The project will also become affordable for the general public. The government cannot take up two metro projects simultaneously. So the Vizag project will be under PPP mode. What is the financial contribution of AP and the central governments? AP will contribute 20 per cent of the Rs 13,488 crore in the form of land, which is nearly 75 acres. Another 20 per cent of the cost will come from the Centre. The developer will bear remaining 60% cost. What about the DPRs and studies done earlier? The information and data will be utilised. However, traffic survey will be taken up afresh as the earlier one was conducted about 18 months ago. Could you explain about the VMR project? VMR consists of three corridors with a length of 43 km. The VMR is bigger than the Vijayawada Metro Rail Project. Corridor-I covering from Kommadi Junction to Gajuwaka Junction runs on NH-16 for about 30.38 km and consists of 25 stations. The second corridor runs from Gurudwara Junction on NH-16 to Old Post Office near Vizag Port. It is 5.26 km long with seven stations. The third corridor covering from Thatichetlapalem on NH-16 to Chinna Waltair close to The Park hotel along the sea coast consists of nine stations (6.91 kms). How will metro rail reduce traffic congestion? We are planning train services every eight minutes. We estimated that 98 coaches are required for the VMR project. Do you think that VMR is viable in Vizag? Why not. The project may not be able to quick response from the public. It will gain popularity as it will be the cheapest mode of transport. VISAKHAPATNAM: The Vizag Metro Rail (VMR) is likely to have as many as 98 coaches against Vijayawada's 54, official sources in the Amaravati Metro Rail Corporation Limited (AMRC) said. With a length of 22 metres and width of 2.9 metres, each coach will have a maximum passenger carrying capacity of 275 people. Each train will have three such coaches. The VMR will have one station per kilometre. Each train will move from one station to another within a minute, according to the preliminary designs and estimates of the VMR project. According to the sources, the metro train coaches are likely to be procured from one of the three proposed coach manufacturing units — Sri City in Chittoor, Salvi in Gujarat and Japanese's Hitachi Rail. "Procurement of bogies is not the direct job of AMRC in the case of Vizag Metro Rail as it is a public private partnership (PPP) project. Our role is to provide land for the project to the private partner who can take care of the procurement of the coaches. AMRC will oversee the project on behalf of the government. However, it is too early to talk on the coaches as the project is still waiting for an official confirmation from the Union government," the sources told TOI. Meanwhile, existing transport stakeholders like APSRTC said the metro rail would eat into the revenue of the RTC, but will decongest public transportation. Ch Appalanarayana, deputy traffic manager for APSRTC at Dwaraka Bus Station, said each metro is equal to nearly six city buses. Each city bus can carry a maximum of 60 passengers. "Our city bus takes nearly two and half minutes to cover one kilometre in the city limits whereas the metro train can cover it within one minute. So, the metro train is far better than the RTC buses in services, but we have our own passengers who will not be able to avail the services of the metro," Appalanarayana told TOI.